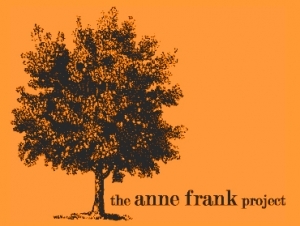 BUFFALO, N.Y. -- By turning Holocaust victim Anne Frank’s story into an examination of the many injustices that continue to plague the world, Buffalo State theater professor Drew Kahn founded the Anne Frank Project (AFP) in 2008. Ten years later, the social justice festival he directs is still as relevant, if not more so. With a mix of performance artists, poets, visual artists, musicians, activists, and students sharing their stories and encouraging audience participation, AFP focuses on conflict-resolution, community-building, and healing. This year’s “Repair the World: The Time Is Now!” is composed of 20 workshops and performances that take place October 2 and 3. Most of the 75-minute-long events will be held in the Campbell Student Union Social Hall or the Savage Theater and Communication Building's Flexible Theater. Additionally, AFP art exhibits will be on view in Upton Hall. All events are free and open to the public. The genesis for AFP was a 2006 campus production of The Diary of Anne Frank that featured a Rwandan girl mirroring the Holocaust victim’s life. Kahn realized they were onto something when students didn’t want to leave the theater at the conclusion of the production. “We realized that they needed to keep telling difficult stories and the festival just blossomed from there,” Kahn said. AFP has since expanded into a two-day festival that draws thousands to campus each fall, along with ongoing drama-based workshops in the Buffalo Public Schools and a college-sponsored trip to Rwanda each summer in which students train teachers in the drama-based education model. Eve Everette, ’09, who played the starring role in The Diary of Anne Frank in 2006, took the reins as assistant director of AFP in 2013. Each year the themes focus around some element of righting injustices. Kahn noted that the young Anne Frank dreamed of a world where “tikkum olam” (repair the world) was not just spoken, but practiced. That inspired this year’s theme. The Space Between: Student-directed, written, and produced play focusing on a misunderstood and bullied teenager on October 2 at 10:00 a.m. in the Flexible Theater. The performance will be followed by an interactive workshop. Remarkable Rwanda Stories: Participants from AFP’s fifth delegation to Rwanda will share their stories on October 3 from 7:00 to 9:00 p.m. in the Social Hall. Each presentation will be followed by short interactive workshops, using AFP’s story-based education practices. View the full events schedule HERE and register online.